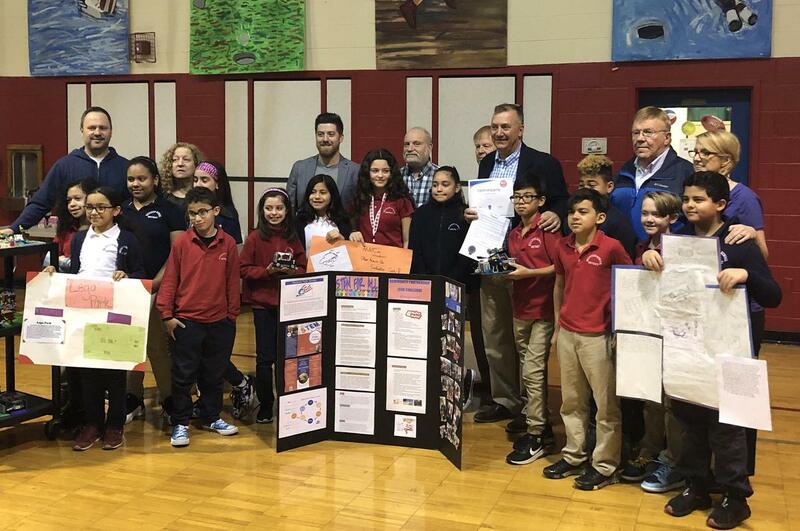 The Mayor and Town Council challenged the fifth grade students to create a STEM inspired eco-friendly prototype. 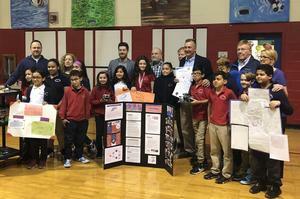 The students were visited by various experts in the field and presented their designs to Don Evanson, Mayor Gonnelli, 2 engineers, and an architect. 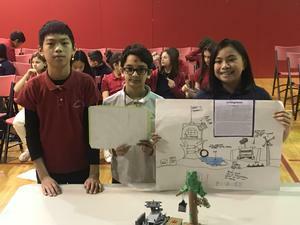 All the students created innovative prototypes that were environmentally friendly. First place was awarded to Sharad Ray, Olivia Natividad, and Hein Maung in Mr Millevoi’s Class with their eco friendly park filled with solar power, trees, and a place to plug in electric powered cars. All of the students designs were innovative and well done. This was a STEM-tastic culmination for NJ STEM Month.